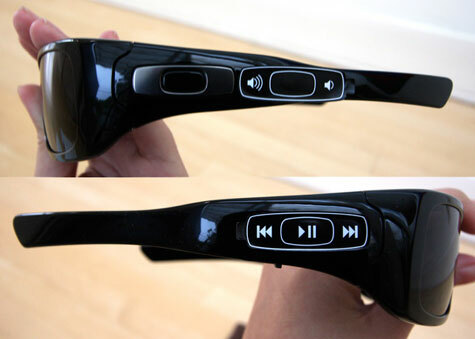 Split THUMP is your favorite pair of sunglasses with the added benefit of an MP3 player. The sunglasses are designed to fit in your world and the MP3 player is there to rock it. Listen to music virtually anywhere with speakers that adjust easily and come out when you don’t need them. Quickly control the music with buttons that only you know are there, because they’re seamlessly blended into the icons. Forget about wires that dangle, snag and tangle, because the age of wires is over. Split THUMP is a total grab-and-go solution that puts your music into something you already take with you, and it comes with the razor sharp clarity and protection of Oakley’s HIGH DEFINITION OPTICS® (HDO®)®. Smart new sunglasses could instantly change into virtually any color on demand with just a turn of a tiny electronic knob on their frames. The lenses that the researchers have developed are made of a kind of electrochromic polymer, a material that can alter its levels of darkness and color in response to an electric current. 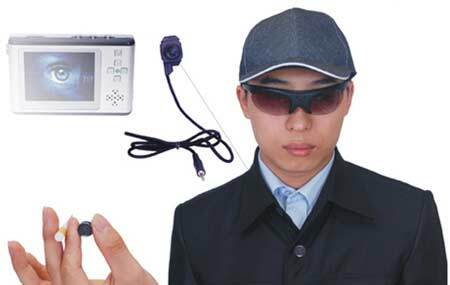 The glasses only require power when they change hue. 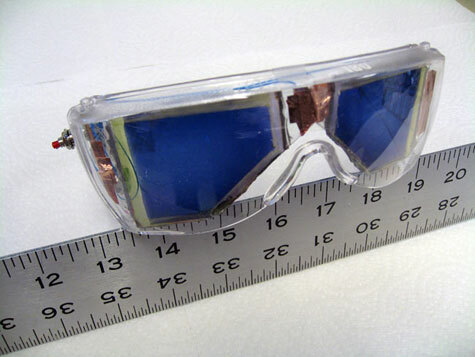 So far Xu and her colleagues have developed prototype shades that resemble a pair of lab goggles with a dial attached onto the frame. Turning this dial activates the tiny watch battery powering the goggles and dials up the desired color. A single watch battery can power thousands of changes, Xu said. The researchers presented their findings Tuesday at the American Chemical Society annual meeting. In the lab, the researchers have shown their glasses can quickly switch from transparent to blue, plus various shades in between, at the flip of a switch, requiring minimal energy consumption. “We are working on a multicolored device as well, but no prototype is available yet,” Xu said. 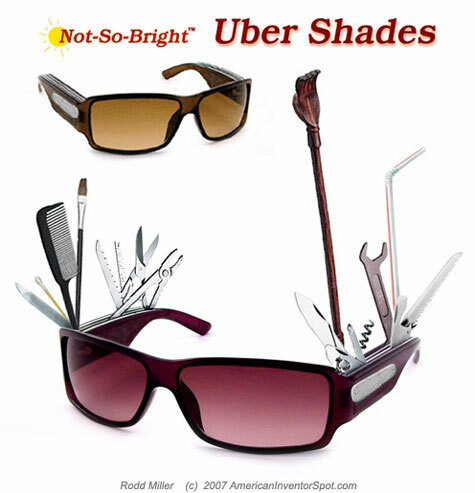 Not since the advent of the Groucho Marx big nose, bushy eyebrow novelty glasses has there been a more important contribution to the eye-wear industry than the multi-functional Uber Shades. These high-tech specs have the potential to revolutionize the lives of thousands, maybe millions or even billions. Let’s say you’re hanging out at the local coffee shop on a warm summer evening innocently admiring yourself in your favorite heavily tinted sunglasses as you wait for your decaf Mocha Frappuccino. All goes accordingly and suspiciously well, perhaps too well, as you head to the counter to pick up your drink. Suddenly, you find yourself in a crisis situation as things take a dramatic turn for the worse. After receiving your overpriced drink, you are shocked to see the dispenser is completely out of bendy straws with no employee in sight (who is willing to refill it).